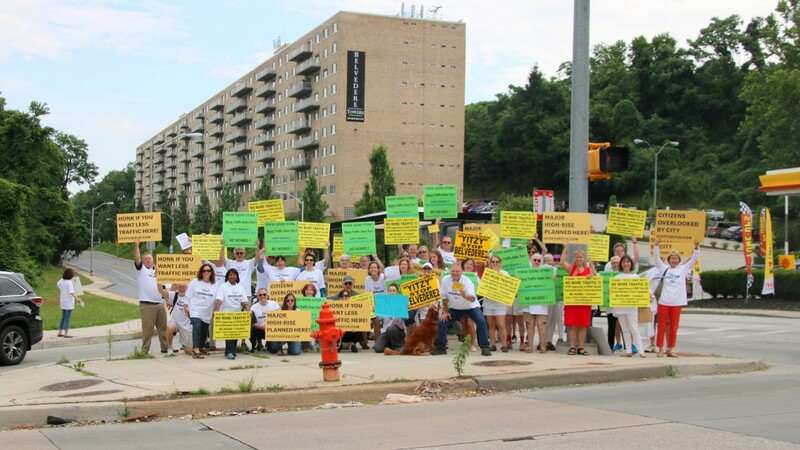 February a year ago, residents of North Roland Park beat back a proposed apartment building on the wooded ridge above Belvedere Tower right near the busy intersection of Northern Parkway and Falls Road. Tonight the community is faced with expected City Council approval of a nearly identical project at the same location that has whizzed through local government. North Roland Park may be affluent, but so far its residents haven’t had any more luck in stopping the “Overlook at Roland Park” than the middle-income communities along the Harford Road corridor have had in halting the progress of a Royal Farms superstore. Likewise the Overlook project is now formally opposed by the two biggest community groups in the area – the Roland Park Civic League and Mt. Washington Improvement Association. Neither group had received a briefing from the developer until after the City Council’s land use committee had approved the project and sent it to the full Council. In addition, about 70% of the residents in the Poplar Hill Association and North Roland Park Association have signed a petition against the project, say opponents who gathered about 50 protesters at the intersection this morning. And yet, in all likelihood, Council Bill 17-0049 will pass later today. What lessons can be drawn from the divergent outcomes? “Councilmanic courtesy” appears as alive and well in the current Council, with eight freshmen, as it was in the days when political fiefdoms and time-honored incumbents ruled the roost. 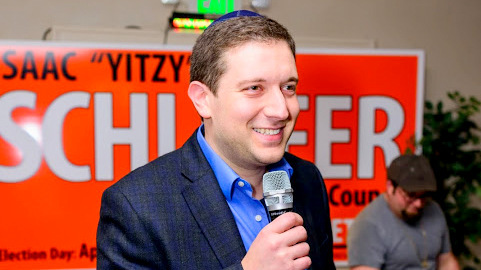 Developer Jonathan Ehrenfeld has been a major backer of Isaac “Yitzy” Schleifer, the 27-year-old Cheswolde community activist who became 5th District’s councilman last December. As the sponsor of the bill supporting the Overlook project, Schleifer has been under fire from community residents. COUNCILMANIC COURTESY: The term refers to a practice that comes into play when a project that only affects one council district is voted on by the full body. The council follows the advice of the member of the affected district and will generally vote “yea” based on the recommendation made by that member. Ehrenfeld also served as a “bundler” of campaign cash, hosting or co-hosting two major fundraising events for Schleifer that raised over $23,000 shortly before the April 2016 primary. 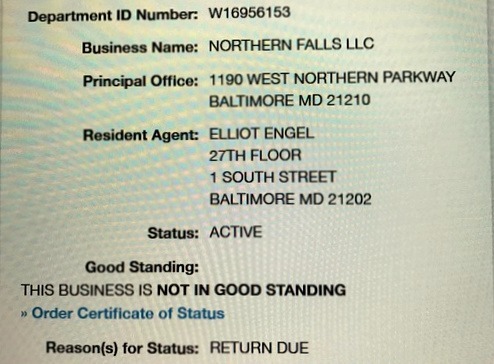 What’s more, the law firm and settlement company representing Ehrenfeld kicked in another $1,500 to the councilman. By contrast, the two developers whose apartment proposal had died, Marc Horwitz and Lawrence Rosenberg, did not contribute anything to Schleifer. Instead, Horwitz’s firm, Intrepid Commercial Co., donated $200 to Betsy Gardner, his chief opponent in the April primary. Schleifer has denied that campaign contributions played any role in his backing of the Overlook project. “Money doesn’t affect me,” he told about 150 residents at a public meeting last month. Referring to Ehrenfeld, Schleifer said, “He wasn’t my biggest supporter. He wasn’t my smallest supporter. To be honest, I got more money from people who are against the project,” he added, gesturing out towards the audience. Campaign records show that the bulk of his donations came from the Cheswolde, Glen and Cross Country areas of northwest Baltimore and Pikesville. Until Schleifer became the district’s new councilman last December, Ehrenfeld said he had no interest in the 12 acres of forested land on the ridge above Belvedere Tower. After purchasing Belvedere Tower last July, Ehrenfeld came to Shelley Sehnert, president of the North Roland Park Association, and asked for her support to upzone the existing apartment building from 238 units to 292 units. “As discussed, we have no agenda relating to the use of the adjacent undeveloped parcel,” he told Sehnert in a September 27, 2016 email obtained by The Brew. 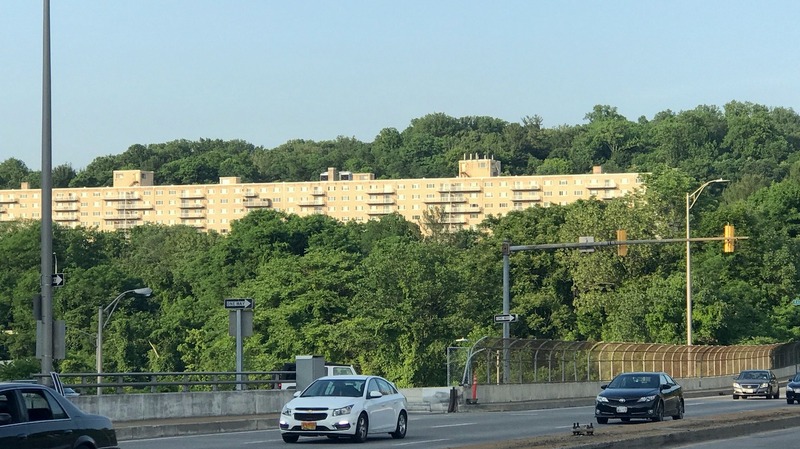 In fact, Ehrenfeld offered to block any other development on the parcel by denying access to the current entrances at Falls Road and Northern Parkway. “He offered to see if he could help us by being an impediment to access,” Sehnert noted in another email. But the developer’s agenda changed just as Schleifer was being sworn in as a councilman last December. Sehnert was informed that Ehrenfeld, owner of Blue Ocean Realty, and co-investor Sandy Marenberg had signed a purchase agreement for the 12 acres of land and planned to build a rental complex on the hillside above the Belvedere Towers. “We do not have any architectural’s yet. Still working on a site plan,” Marenberg wrote in an email. Things moved swiftly from there. On February 23, schematic designs for the “Roland Park Apartments” were presented and approved by the Urban Design & Architectural Review Panel (UDARP). Councilman Schleifer followed up with legislation establishing a Planned Urban Development (PUD) for the apartment building on April 6. According to the first-reader text, the bill was introduced “at the request of Blue Ocean Realty” (Ehrenfeld’s real estate company) through AB Associates, the well-known consultancy of Alfred W. Barry, whom Horowitz and Rosenberg had also retained. Both Ehrenfeld and Barry knew they were working on a deadline to get the bill into the legislative hopper. Why? Because their proposed building would be about 80 feet tall – or nearly double the 45-foot height cap of the new Transform Baltimore zoning law. “So the solution for the developer is City Council Bill 17-0049,” a staffer told the Planning Commission at a May 4 meeting. The bill “would basically vest their rights, their current rights under the existing zoning code. And that would allow for them to do the building,” planner Reni Lawal explained. Even though he had not yet purchased the forested property, Ehrenfeld managed to win the support of Sehnert and Susan Joslow, president of the Poplar Hill Association, by asserting that he had the right, under the existing zoning law, to build an even bigger apartment complex. He also agreed to give the community a number of concessions, such as reserving six acres of steeply sloped land unsuitable to build for a forest reserve. Opposition, meanwhile, was bubbling up from residents who had formed the Lehr Stream Neighborhood Association in part due to dissatisfaction with Sehnert’s and Joslow’s leadership. The group expressed alarm at Ehrenfeld’s refusal to limit the building to a height equal or below Belvedere Towers and rejection of suggestions to construct townhouses considered more in keeping with the neighborhood. 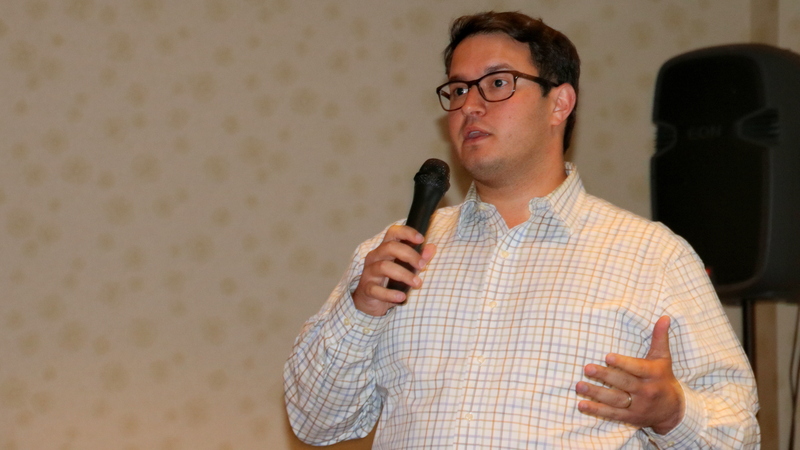 At a well-attended meeting on May 25, many residents called on Schleifer to withdraw his bill until the community had a chance to digest its ramifications. Schleifer has not done so. Since then, the opposition’s yellow “Stop Belvedere 2” signs have spread into Roland Park and Mt. 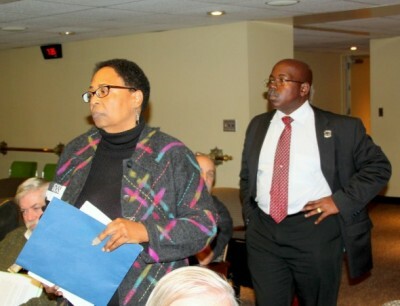 Washington, and opponents have lobbied Council President Bernard C “Jack” Young and other Council members to delay the bill. But unless they pull off a coup against “councilmanic courtesy,” the measure will almost certainly pass the Council tonight and land on the desk of Mayor Catherine Pugh for her signature.